​Each year the Best Shorts Competition honors a filmmaker with its Annual Humanitarian Award for a production dedicated to social justice, humanitarian causes or environmental issues. Best Shorts 2011 Annual Humanitarian Award goes to filmmaker Lauren Shaw for her film, A Drop In The Bucket. Her film highlights the need for clean drinking water in rural villages around the word and those who help make that possible. This film is a timely, hopeful and lyrical tale about people reaching across international boundaries to help provide clean water in rural Cambodia. 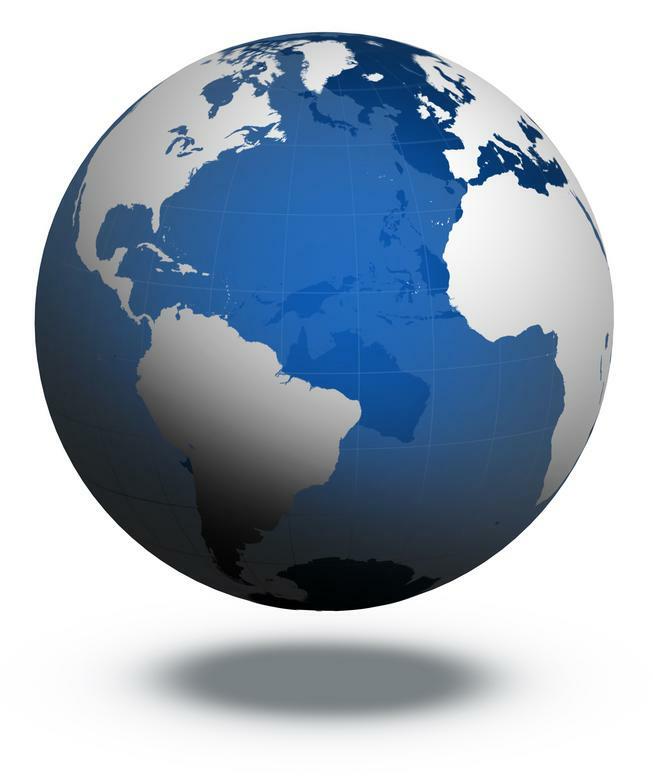 Michelle Harris, host of the television program Alive & Well, said, A Drop in the Bucket provides a wake-up call to the world about the need for all people to have access to water and the impact it makes on their lives." It explores bringing fresh, clean water to rural Cambodia, a cause near and dear to Shaw’s heart. Within the film, viewers become aware of the contemporary struggles of the Cambodian people as they endeavor to recover from the horrors of mass genocide. Shaw, a full time photography professor for the past 39 years at Emerson College, she recently shared her views about the film and on winning the award. Q: Where did the idea for the film evolve? A: I first came to Cambodia in 2007, never dreaming that I would be able to visit a country that our country mercilessly bombed during the Vietnam War. I came from Vietnam and the differences were so dramatic, no infrastructures, massive poverty, no clean water. I felt compelled shortly after arriving in Cambodia to use my art to do something, even small, that might make a difference. A: I started it in 2008 and screened it at the Maine International Film Festival in 2009. Q: Was this your first film? A: I did Maine Women: Living on the Land, but it was a museum installation video to accompany the exhibition: Maine Women: Living on the Land. Q: Will there be a follow-up? A: Yes, a feature film called: Angkor's Children, 2013. Those interested can visit www.angkorschildren.com, or join the Facebook page, angkors children. Q: How do you feel about receiving the Best Shorts Competition Humanitarian Award for this film? A: I was extremely proud and humbled because there are so many filmmakers who are doing extraordinary films about human rights violations. Q: What makes you a humanitarian or do you not consider yourself one? A: I think of myself as a compassionate human being that is all. A: Water is the most essential need of every human being. Everyone deserves clean water. Without clean water, there is no chance for development, education is the next step, but clean water is first. Q: Tell us about your cause/charity? A: I have no charity. I have no cause. I just want my film to inspire an audience to not just write out checks for something that they think may make a difference, but to go and make sure that what they want to support is something real. I believe that many in the United States live a life of excess. Now things are changing. Many people are struggling, so maybe it is time for everyone to feel responsible for those who have less, especially basic needs such as water. I want my film to inspire people to care, and to ask questions about where their money is going, for whom, and for what. I think it is very rewarding to go and see firsthand. It has changed my life, and my art making. Q: Do most people just turn a blind eye in terms of how other people besides those in the United States are not so lucky to have fresh, flowing water daily? Why didn’t you? A: I would hesitate to say, ‘most people.’ How can you generalize? It’s not possible. Certainly, there is great caring in the country of Cambodia. I was hit in the face when I came there the first time. I felt I did not have a choice. It was my responsibility to do something. Q: Does the title of the film have a particular meaning? A: Building wells is a small act, a drop in the bucket, but if everyone acts, the bucket fills up. It is always one step at a time that usually achieves the final goal. It has to start from the bottom up. Q: Where do you go from here in spreading the message? A: Show the film; tell people that they can build wells. They can give them to others in honor of someone, gifts, etc. So many people have built wells based on seeing our film. Recently, a high school in Lowell, Massachusetts, saw the film, and then raised money in their school to build three wells. The high school was a Cambodian/American student body, plus Hispanic, and Caucasians. I was so knocked out and deeply proud. Q: Who funded the film? A: I received some funding from Emerson College, but it was mostly out of our pocketbooks. A: Find out what you are passionate about and follow that. Be responsible about seeing the world through the eyes of the people you are making the film about. Stay open and curious. Q: What was the best part of making this film for you? A: Every step from the beginning to the screening! Q: Have you been back to the village to check on the circumstances now? A: No, but I know that if the well breaks, the villagers know how to repair them. Q: How as a filmmaker can you help to make the world more aware of this? A: You cannot make, you can only try. Q: How can people help if they would like to? Q: Have you won or been recognized for this film by other award competitions? If so, how does that make you feel? A: A Drop in the Bucket has won many awards and I am deeply honored by all of them. We received over $5,000 all put toward building wells. Each year, the Best Shorts Competition honors a filmmaker with its Annual Humanitarian Award for a production dedicated to social justice, humanitarian causes or environmental issues. The 2012 Humanitarian Award goes to Patricia Sims and Michael Clark, who produced a documentary about saving Thailand’s elephants. Poignant and powerful, Return to the Forest, reveals with unsettling realism the plight of elephants in a region that once depended on these loving animals for survival. ​Nearly a century ago, there were over 100,000 elephants in Thailand. That number has shrunk to just 4,000. A super keystone species and forester, elephants contributed to the forest’s ecology for twenty million years. Today, the link between the elephant and forest is broken. Fortunately, plans are underway to re-introduce elephants to the forests, allowing them to roam freely in special sanctuaries. Return to the Forest reminds us that elephants are gardeners of the forest, contributing to seed dispersal and creating trails for other creatures. Set free, they form social groups. The film underscores the point that every hour, something becomes extinct on Earth. In Thailand, that could include elephants in just thirty years. In this interview, filmmaker Patricia Sims provides some insights into this important subject and reveals the many challenges in bringing Return to the Forest to the screen. Why do you think you were selected to receive the Best Shorts Competition Humanitarian award? 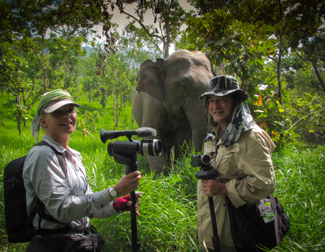 Sims: I think we've been selected because we have been filming Asian elephant conservation issues for almost five years, based in Thailand, and we are very dedicated to spreading awareness about their plight through film, and also portraying some of the positive solutions underway to protect them. As a short documentary, Return to the Forest is the first of two films that we have been working on about these issues, and we are still working on the second, which is a feature-length documentary. So, we're very committed to the cause and hope that both films will be a call-to-action for people to help protect elephants in any way they can. How has receiving this award helped you? Sims: It's quite an honor to be selected for this award. My co-filmmaker Michael Clark and I are very appreciative of this recognition we have received for our work. The award has helped us by bring attention to our filmmaking, to the work of the Elephant Reintroduction Foundation, and to the plight of Asian elephants. Sims: The idea for the film originated through research I was doing on Asian elephant conservation strategies in Southwest China, which eventually led us to Thailand. We began to follow the lives of captive elephants that were used for street begging in the urban areas. One of these young elephants was rescued by the Elephant Reintroduction Foundation to be released to the wild. We contacted the Foundation about our interest in following this young elephant as she was returned to live free in the forest. Because Asian elephants are an endangered species, we believed it was really important to tell this positive story about some solutions that are working to save these magnificent animals. We met with the Foundation and learned about their mission and success of releasing other captive elephants to the wild. This led us to make this short film about this organization's remarkable conservation work. Was this your first film about animals? If so, how was it different than your other films? Sims: Michael Clark and I have made several films about animals, conservation issues, and the interrelationships between humans, animals and the environment. Many of our other films also portray traditional and cultural themes, but Return to the Forest is a bit different because it focuses specifically on a conservation solution and the work of the Elephant Reintroduction Foundation. Sims: The conservation and protection of Asian elephants is incredibly important to us because Asian elephants are a critically endangered species and play an important role in the ecosystem, which we portray in Return to the Forest. Asian elephants face numerous threats including poaching, but the biggest threat is habitat loss. Unless protected areas are set aside for them in the few Asian countries where they still roam, in less than thirty years there will not be any wild Asian elephants left in the world. Therefore, organizations such as the Elephant Reintroduction Foundation are setting a very positive example of how captive elephants can be successfully returned to protected areas so that they can regenerate not only an endangered population, but also forest habitat. How closely did you work with the Elephant Reintroduction Foundation? Sims: We worked very closely with the Elephant Reintroduction Foundation. Although most of the elephants were once captive, when they are returned to the forest they have to be approached as wild elephants and can be dangerous. So it was important for us to work with staff who understand the elephants' behaviors and the environment in which they live. We worked with the field staff to track the elephants and film their social behaviors and camped for a few months in the protected forested areas where the elephants are released. All the Foundation staff were extremely helpful to us during the making of the film, sharing their knowledge and experience with us. How closely did you work with Her Majesty Queen Sirikit of Thailand? Sims: The Elephant Reintroduction Foundation is an initiative of HM Queen Sirikit of Thailand, and is a Royal project in Thailand. Presently HM Queen Sirikit is not directly involved in the Foundation's day-to-day activities although she released the first elephants back to the forest when the Elephant Reintroduction Foundation was inaugurated over ten years ago, and the Foundation operates with her mission to return elephants to the forest. Sims: The film was funded by four Thai sponsors: Crown Property Bureau Foundation, Siam Cement Group, Siam Commercial Bank, Bangkok Bank--who are all supporters of the Elephant Reintroduction Foundation's mission and work. Sims: Filming in the elephants' forest habitat was very challenging. It's a jungle, with very dense vegetation and a very hot and humid climate. Lighting conditions were tricky, depending on the time of day, and it was tedious coping with insects, mud and rain. Keeping our batteries charged and our footage backed up on drives was a challenge because we had limited access to electricity. Finding the elephants also presented some challenges particularly if they didn't want to be filmed because they would move through the forest very quickly, making it difficult for us to follow them. Sims: Making Return to the Forest was incredibly enjoyable! Despite the challenges of filming in the jungle, there is nothing like spending time with elephants in their natural habitat. They are truly the most amazing creatures I have ever met. The most impressive experience was filming the baby elephant when she was born in the forest. It was such a joy to witness this cute curious creature's first hours in the world and this is one of my most memorable filming experiences. What permits and permissions did you need to get to make the film? Sims: The Elephant Reintroduction Foundation operates in collaboration with the Department of Forestry in three vast protected forest habitats that have restricted public access. So, we needed permission from both of these organizations to film in these areas. What advice would you give to other filmmakers interested in making a film like this? Sims: Follow your heart, be patient, and wait for the magic to happen. And don't forget your flashlight! How has the film impacted the ERF and Queen Sirikit? Sims: The film has brought international attention to the work of the Elephant Reintroduction Foundation, as a Royal initiative of HM Queen Sirikit. For many years the organization had operated with minimal media and public outreach, and many people, even within Thailand, were unaware of their work. We released Return to the Forest on World Elephant Day, which we co-founded on August 12, 2012 with the Elephant Reintroduction Foundation, as an international awareness campaign to inform the public about the serious plight of elephants. Since then Return to the Forest has been viewed thousands of times on the World Elephant Day website, and has been screened at film festivals worldwide. Thousands of people have learned about the successful work of the Elephant Reintroduction Foundation and also about the important role the elephants play in the forest ecosystem, and the urgency to protect these habitats so that Asian elephants and the forests can continue to thrive.